Home improvement tips on how to reduce pollution and save money is very useful to build your dream energy-efficient home with small changes. The idea of bringing energy conservation into a home can make a big difference. Energy-efficient home is one of the ideas of home improvement tips 2013. Modern people are getting aware of the benefits they can take from living in an energy-efficient home. Therefore, this home becomes very popular. 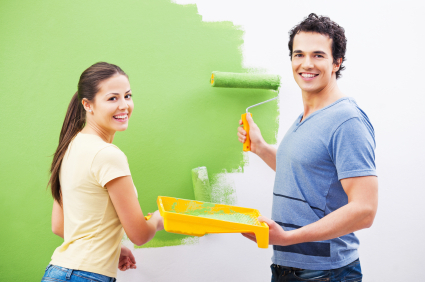 If you care about your living environment, you have to apply these home improvement tips and tricks below. One of the home improvement tips is to reduce home’s utility. This is really not a difficult task. You just need to make a few changes of the way you carry out daily tasks. For example, instead of washing clothes in hot water, use cold water. It sounds simple. But, do you know that using cold water means that you save 50 percent less energy than if you wash your clothes in hot water? Other things that you can do to reduce utilities are for example repair all leaking commodes, pipes, and while you brush your teeth, turn off the water faucets. These simple things do work. These ways will save many gallons of water. Can you imagine that? For your information, large appliances spend loads of energy. One of the home improvement tips is to use energy-saving product for example Energy Star appliances. By using such appliances you save more than 30 percent on your energy bills. Therefore when you shop for appliances, make sure you choose the ones with a logo of blue Energy Star. Perhaps, you should buy these appliances in a high price, but they are not that expensive if you think on how much you can save later on. The use of new lighting technologies is a great idea. For your information, lighting plays a big contribution to spend energy in your home. By using new technology, you can reduce the energy you spend to light your house. To save energy, the ideas are to install motion sensor lights, dimmers, or other lighting controls. Instead of installing incandescent bulb, you can use fluorescent bulbs because they belong to energy-saving light fixtures which can save up to 35 percent energy. Don’t forget to turn off any lights during the day or when they are not used. If you want to make the home improvement tips work, you have to encourage yourself to do these small things first.